Fairy tales; History and criticism. Fairy tales; History and criticism; Juvenile literature. Amazon.com description: Product Description: âThatâs NOT the way it was!â say five characters from some of the worldâs most beloved fairy tales. In reality, Cinderella wasnât the sweetest belle of the ball. She was an annoying chatterbox. Jack was a petty thief. And Little Red Riding Hood? Spoiled rotten! Itâs all about point of view. Pull up a chair, and get the full scoop straight from the mouths of the wicked stepmother, the giant, the prince, Baby Bear, and the wolf. 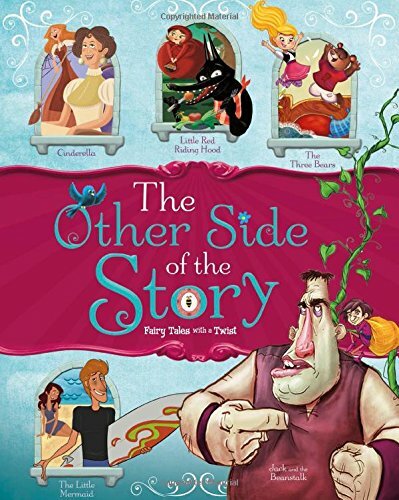 Get the Other Side of the Story! About: “That’s NOT the way it was!